[…]Additionally, after a several-decades-long drought, Maryland boasts a couple of brand-new liquor distilleries. The state of Maryland was once known for its production of rye whiskey. This was tobacco country, and farmers planted rye in the winter as a way to renourish the depleted soil. It made sense to use part of the rye crop to make whiskey. Labels like Wight’s Sherbrook, Mount Vernon, Ryebrook and Pikesville Maryland Rye were found in bars across the country. Eventually rye-based cocktails fell out of fashion, and the distillers disappeared (as did a number of tobacco growers). St. Michael’s Lyon Distilling Company produces rye whiskey, corn whiskey and both light and dark rum. Pikesville, named after an area in Baltimore County, is still Maryland’s most popular rye brand. Today, however, it’s known as Pikesville Supreme Rye, as it’s been made in Kentucky since the 1980s. So the state known for rye hadn’t produced the stuff for — well, for some folks — a lifetime. Until now. 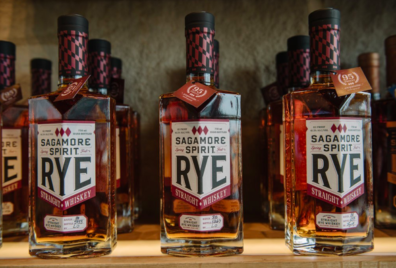 Lyon Distilling Company, in St. Michael’s on Maryland’s Eastern Shore, has come out with Maryland Free State Rye, the state’s first rye in four decades. The state’s first new distillery makes Sloop Betty Vodka and rum and is working on a rye whiskey. Lyon isn’t the first new distillery in Maryland. That distinction goes to Blackwater Distilling in Stevensville, also on the Eastern Shore, just over the Chesapeake Bay Bridge. They’re also working on their own rye whiskey. The first batch of Mr. Haddaway’s Maryland Rye won’t be ready for a while, though. In the meantime, we’re enjoying the Sloop Betty Vodka, which comes in both traditional and honey flavors. Blackwater also has a brand-new rum product, Picaroon, which makes its debut this year. Distilled from raw cane syrup and a tropical sugarcane yeast, Picaroon has a sweet vanilla and cream flavor. A gold rum will be next in the pipeline. 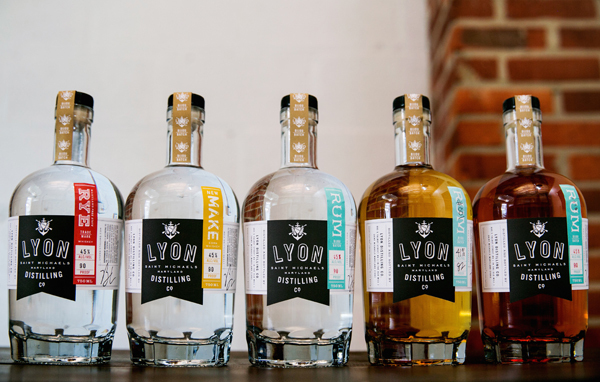 Lyon’s got rums, too: white, seasonal and barrel-aged, all of which are sold both at the distillery and at a handful of Maryland and D.C. stores, bars and restaurants. Baltimore City boasts a new distillery as well, called Louthan. They’re making corn whiskey using Maryland-grown corn, some of which comes from a city farm garden down the street from the distillery. Down toward D.C., Twin Valley Distillers, in Rockville, is producing bourbon, vodka, rums and corn whiskey. They’re using grain from local farmers, which, when spent, goes back to them as animal feed. It’s almost hard to believe that Maryland ranked fifth in U.S. alcohol production before Prohibition, but four distilleries (with a handful more in progress) is a pretty good start, we think. When you add in the number of breweries that have opened in Maryland, the booze boom over the last 10 years or so has been staggering (see what I did there?). Hopefully it won’t slow down anytime soon.